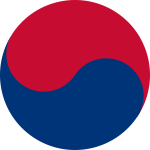 Taeguk "太極" (As in, Taegukgi - The Flag of South Korea) is one of the many symbols seen as synonomous with Martial Arts. It is the symbol used to represent the concepts of "Um" and "Yang". In Chinese it is pronounced Taiji, with most westerners incorrectly calling it a "yinyang" symbol all while botching the pronunciation. My good friends, let's get one thing straight... in Chinese, it's Yin and Yang pronounced "Young" and the symbol itself is called a Taijitu. Okay, so what does it mean? It literally means "Great Polarity". Tae 太 literally means big, Really Big. And Guk 極 is made of up two symbols, Wood "木" and Anxious or Urgent "亟" which lends itself to holding things on extreme ends of a pole. Therefore, the symbol reflects the extreme polar opposites in nature. Light, Dark; Hard, Soft; Fire, Water; Heaven, Earth; etc... 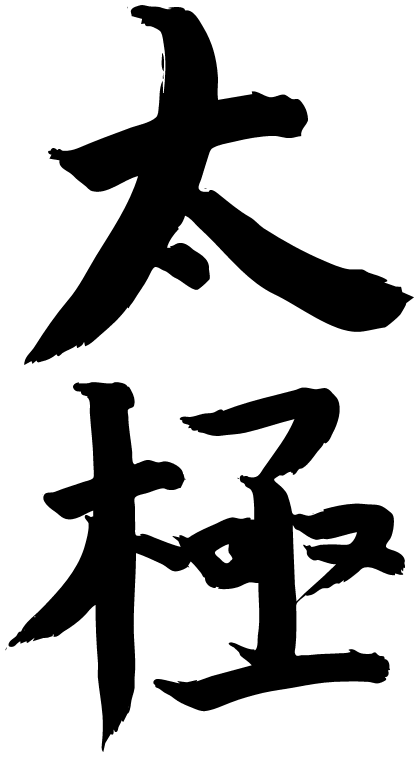 The taeguk symbol is the most widely known symbols for Taoism. While it isn't difficult to imagine Korea showcasing Taoist culture, it is indeed important to reflect on this time and time again as martial artists and especially as Korean martial artists. What exactly can we learn from the Taeguk when it comes to our Korean martial arts heritage? Everything. First of all, let's never forget that Korea is, was and always will be a melting pot of Asian influence. It is evident in Language, Religion, Food, and of course Martial Arts. Everytime I walk in and out of the Dojang and bow to the flags, I'm reminded of that melting pot influence. I'm reminded of how big Tang Soo Do is. It isn't just something one Korean man made up. It's the amalgamation of countless martial arts masters in Korea, Okinawa, Japan, China, and who knows where else. This reminds me exactly how much I still have yet to learn. Secondly, in terms of the actual martial art of Tang Soo Do, the Taeguk reminds me of how my body moves most efficiently. How to be hard and explosive when needed and soft and receptive when needed. Reminding me that each technique includes both Um and Yang. Recently, all of my classes have been focused on walking in Chun Gul Jaseh "Front Stance". We've been really looking at the hip flexibility in moving efficiently, with proper directional power and stability off of the back foot. To be able to relax the front hip to allow the body's center to flow forward making the step a natural movement and then pushing that (now rear) heel into the ground as your power comes up through the legs and hips, it's all Um and Yang. And third (and lastly for now), we must always remember that balance is key to everything. Our bodies are designed to work and rest. Don't work yourself too hard, and don't rest too much.